T-Mont Plumbing & Heating provides quality installations of gas or oil fired steam & hot water boilers. 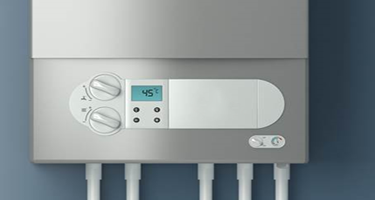 We install Peerless Boilers (unless otherwise specified by customer) and equipment. T-Mont will disconnect and remove your existing boiler neatly and efficiently. We will then install your new boiler providing all necessary piping, controls, safeties and wiring for a complete and quality installation. We will take care of filing all paperwork for permits and arranging all inspections upon completion of your project. T-Mont Plumbing and Heating gives quality establishments of gas or oil let go steam and high temp water boilers. T-Mont Plumbing and Heating introduce Peerless Boilers (unless generally indicated by a client) and gear. T-Mont Plumbing and Heating will deal with documenting all printed material for licenses and orchestrate all endless supply of your projects. T-Mont Plumbing and Heating will disengage and drive out your current evaporator perfectly and productively. T-Mont Plumbing and Heating will then introduce your new heater giving all vital funneling, controls, safeguards and wiring for a complete and quality establishment. T-Mont Plumbing and Heating also has been devoted their dedication to provide better administrations in North Jersey with more than 70 years of consolidated information. What’s best about T-Mont Plumbing and Heating North Jersey Hot Water Boiler Service? • T-Mont Plumbing and Heating Services cover every single private need and rates are sufficiently appealing to bear the cost of taking care of business. In case you’re searching for a pipes organization and Boiler Repair in NJ, then your hunt can end here. • They take pride in their customer maintenance and trust protection support now can spare you cash and anguish not far off. At the point when searching for a New Jersey Boiler Installation, T-Mont Plumbing is knowledgeable about all aspects of Boiler Repair. • Their agreeable handymen altogether comprehend your issue as well as can discover financially savvy techniques that most Hot Water Boiler Service in NJ won’t instruct you with respect to. Their legit approach and proactive hard working attitudes are the souls of what they want to do, “HELP OUR CLIENTS”! Checks all burners to ensure they are not stopped up or harmed because of wear, rusting and from ordinary evaporator operations. Check low water shorts, this control tells the kettle regardless of whether the water level is at a safe working level. Issues that could have been perceived at a winter start up incorporate looking at all roll switches; these switches tell the evaporator regardless of whether the smokestack is stopped up. On the off chance that the low water cut off is not working legitimately your kettle won’t stop when the water level gets perilously low in this manner bringing about the heater to “Dry Fire” or warmth up with no water in it. Without this control working appropriately you’re beyond any doubt to have a fire! Overhauling your heater will develop the life of the evaporator, make the kettle run all the more productively and keep the potential for carbon monoxide harming! Assurance by T-Mont Plumbing and Heating! ‘We are happy that you have discovered us, by what method would we be able to offer assistance! If it’s not too much trouble get in touch with us now or round out a contact structure and one of our office colleagues will get back to you immediately.’ So just embrace all your worries and give them the assurance of T-Mont Plumbing and Heating services.